WHEN: Wednesday, May 30, 7 p.m.; Doors open 6:30 p.m. 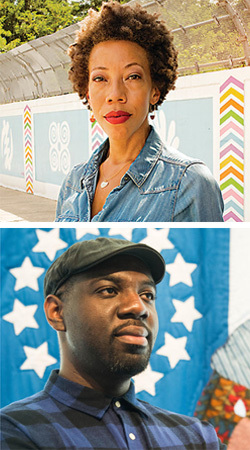 Hear BMA Trustee and artist Amy Sherald, artist Stephen Towns, and BMA Director Christopher Bedford in conversation during the next VOICES event, presented by The Church of the Redeemer. Artist and BMA Trustee Amy Sherald recently unveiled the official portrait of former First Lady Michelle Obama. She is best known for her portrait paintings that both reflect and see beyond the everyday circumstances of her subject.